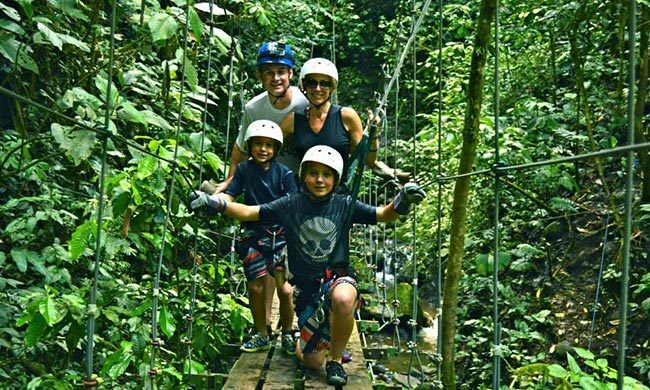 Adventure and Relaxation in Costa Rica with Your Family. Costa Rica is the perfect place to take a family vacation, and this package will give you the best of what makes the country a favorite tropical destination. Rainforests, volcano views, beach relaxation – you’ll experience it all. Best of all, you’ll end your trip with the ultimate in luxury and relaxation, at one of the best all-inclusive resorts in the country. Start your trip by landing in San Jose, where you’ll be guided personally through customs with our exclusive service. A private driver will then take you to Arenal, famous for the towering Arenal Volcano and the adventure tours that the area offers. 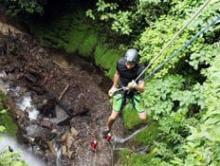 Enjoy two of them, a hanging bridge tour exploring the gorgeous tropical rainforest and a thrilling waterfall rappel. After excitement in the forest, you’ll be ready for some indulgent beach time! A private transfer will take you to the all-inclusive Westin Playa Conchal, a fantastic resort for families. Spend an afternoon watching the sunset over the ocean from the comfort of a catamaran, and then relax and enjoy the benefits of this world-class resort for the remaining days. You’ll head home refreshed, well-fed, and wishing you could stay longer! Arrive in San Jose, where you will be greeted by our friendly staff, making your arrival smooth and easy. Next up, a lovely drive through the countryside is a perfect start for your Costa rica family getaway. 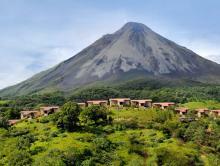 You’ll be staying at the Arenal Kioro. Start your vacation right by exploring the tropical rainforest. The sky tram and walk tour includes a ride in a slow-paced gondola over the rainforest and a walk through the rainforest over a series of bridges and trails! Today you’ll be trying perhaps the most famous Costa Rican activity: a canopy tour! You’ll be flying through the air on zip lines, all the while wondering at the beauty of the rainforest with a unique view from above. Say goodbye to the cool mountain air and hello to the ocean breezes and warm sun of the Pacific! You’ll be driven in a private transfer to Guanacaste, where you will be staying at the all-inclusive Westin Playa Conchal, one of Costa Rica’s most popular accommodations for families. Spend the morning relaxing, and then gear up for a wonderful afternoon. You’ll be watching the sunset over the Pacific Ocean – talk about a photo opp! Along the way, your boat ride will provide the chance to snorkel, kayak, and look for wildlife like whales and dolphins. The relaxation is helped along by the snacks and cocktails offered on board. 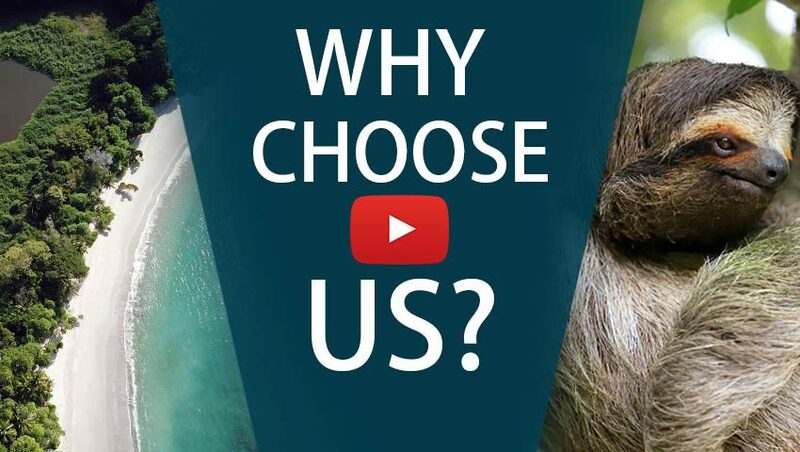 Both the beach and the resort have more than enough to keep you entertained! Playa Conchal is famous for the little shells that wash up on its shores, making for perfect beachcombing. The resort itself has tons of restaurants, swimming pools, and activities, as well as a Kids’ Club for when you want some adult-only relaxation time. Enjoy a private transfer to the Liberia airport, where you’ll take your international flight back with memories galore.